LG recently announced the first models of its new mid-range series - the Q6α, Q6, and Q6+. Perhaps the most notable feature of the trio is the fact that it comes with a 5.5-inch FHD+ display that sports an aspect ratio of 18:9. The screen of the tree handsets is surrounded by really slim bezels, much like the current G6 flagship. Although the manufacturer pretty much detailed all the important specs of the trio and gave a rough estimate for a release date, no information was given as to how much would they cost. Fortunately, a recent report from South Korea might have just given us a rough estimate. 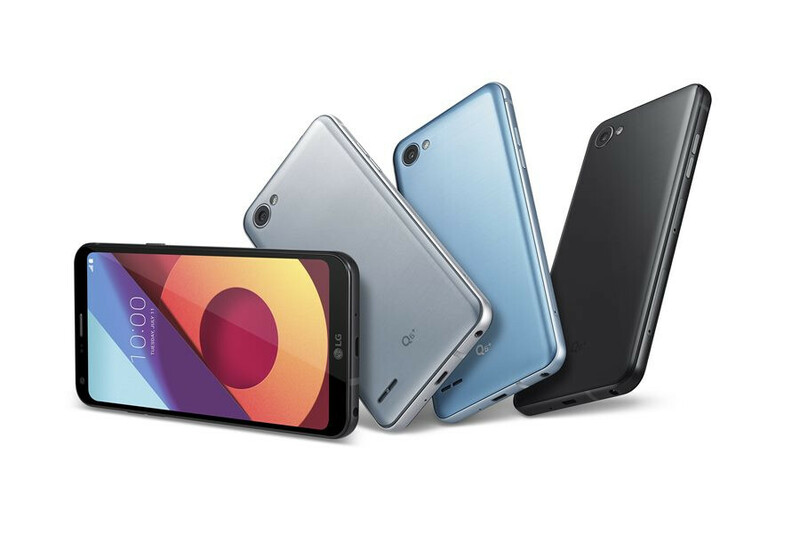 According to sources of iNews24, upon release, the Q6 and Q6+ will have a retail price of 418,000 won and 499,000 won, respectively. When we convert the currency to USD, this translates roughly to $363 and $433. Curiosly, no details were given for the price tag of the low-end Q6α model, which differs from the other two only in terms of RAM and internal storage. Of course, we have to keep in mind that these prices could very well be increased for western markets, so expect the base and high-end variant to sell for about $380 and $450, if not more. Another thing to consider is that this information is not official and should be taken with a grain of salt. Fortunately, we won't have to wait too long to find out the, as all three versions should be released in the Asian markets by early September. This is the cost in South Korea, which it should be noted that both the S8 (priced at $1030 in SK) and G6 (priced at $800 in SK) were listed as more in cost than they were when they went on sale in the US market. I have mixed feelings about this price. I can understand for the + version a little bit but not the regular. I think $300-325 is more ideal. As far as i know price of Korean handset that goes on sale in their own country can have ridiculously high price tag, i can't exactly remembered what model it is but its price was around 1,000$ and that is a starting price for base model. LG G6 goes for nearly the same price, brand new, sealed box depending on where you look. No reason to get this.